Maria Montessori believed that education begins at birth and that the first few years of lie are the most formative and important. She believed that the child absorbs learning from the physical environment. The environment created allows for freedom of movement and the growth of independence. The child is free to act and to develop according to his/her own inner direction guided by the nurturing hands of a loving teacher. Everything in the environment either teaches a skill or develops concentration. “The first educational influence upon a child should have as its objective the guidance of the child along the way of independence. No one can be free if he is not independent; therefore, in order to attain this independence, the active manifestations of personal liberty must be guided from earliest infancy.” (Dr. Maria Montessori) For children 18 months to 3 years old, great work lies in his/her ability to develop impulse and self-control. The toddler classes are guided by nurturing, knowledgeable teachers who exhibit the skills and abilities to guide toddlers between the ages of 18-36 months. Teacher in the toddler program hold a Montessori teacher’s diploma and may also have an early childhood background with teaching experience. 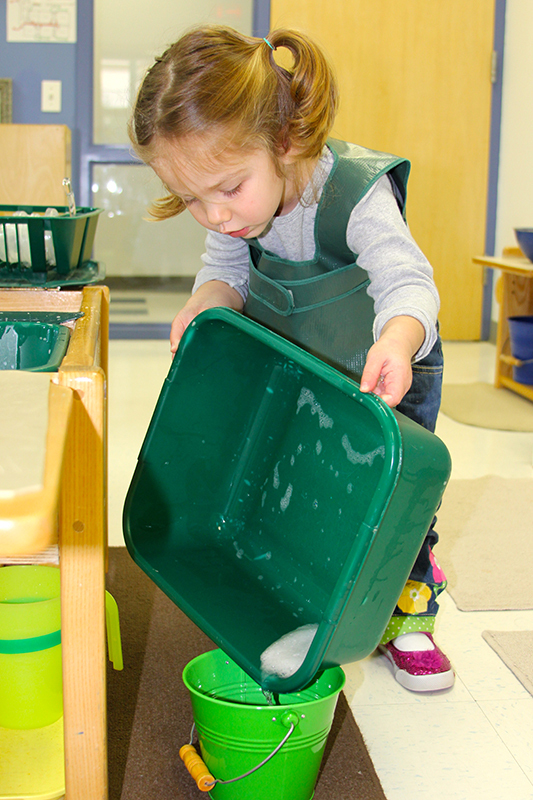 When your child is young and new to our program, we recommend parents observe in a toddler classroom different from the one their child attends. This will help parents become acquainted with the toddler pedagogy.